Telluride, Colorado has been known as a skiers paradise in the winter, but it reigns supreme throughout the summer and fall as an epic destination and is known as the Festival Capital of Colorado. There is not a weekend that goes by during these warmer months without some sort of special festival event occurring in this box canyon paradise. Whether music, film, scientific or athletic - there is always a celebration for visitors and locals alike in the heart of the San Juan Mountains of southwestern Colorado. 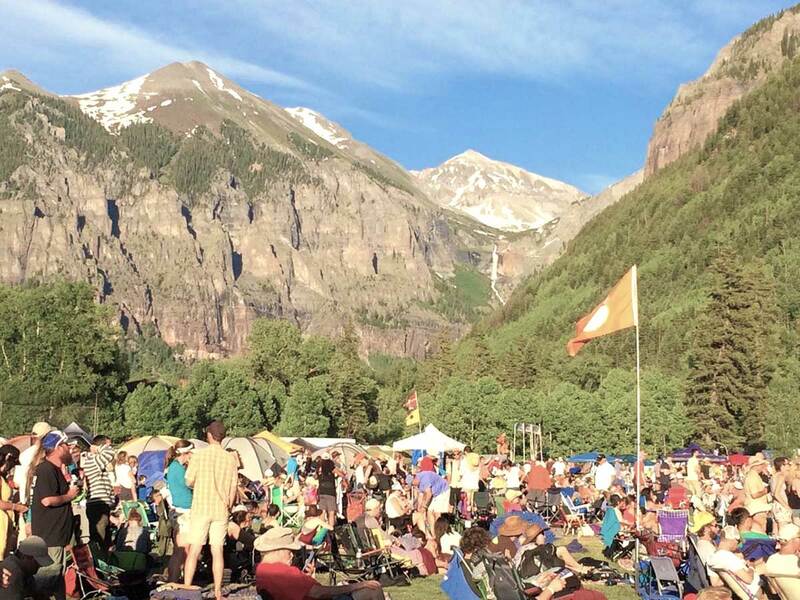 Thus far 2015 has set records in the number of people attending the various Telluride festivals and celebrations. 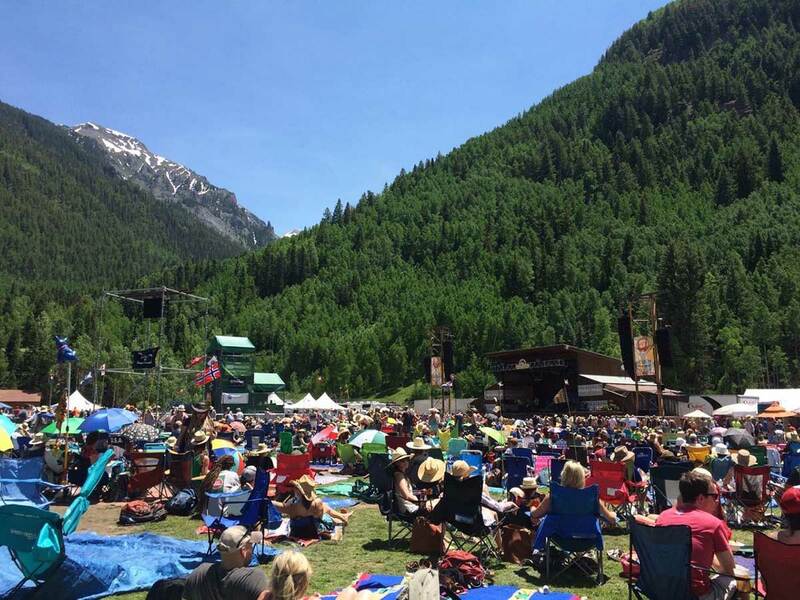 The summer season kicked off with the 42nd Telluride Bluegrass Festival featuring Kacey Musgraves, Ry Cooder, Sharon White, Ricky Skaggs, Robert Earl Keen, Robert Ellis along with legendary Sam Bush and the Telluride House Band. 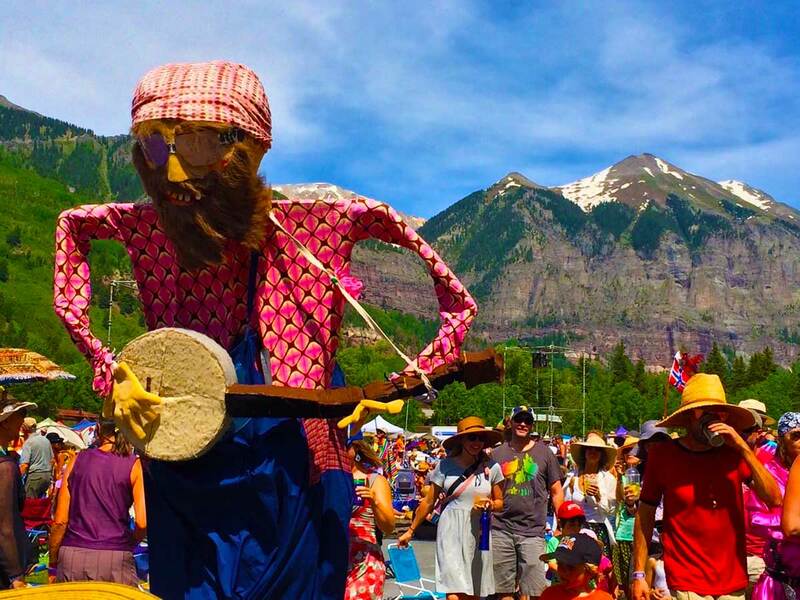 The Telluride Bluegrass Festival billed as the Pinnacle of Pick hosted 12,000 festivarians a day over the 4 day summer solstice gathering from June 18-21. The next big hit was the Town of Telluride's annual July Fourth Celebration and Parade. The patriotic holiday is always a little wacky and crazy with everyone welcome to participate in the parade and onlookers approaching nearly 20,000 people. The celebrations ended with a spectacular oversized firework display at the Telluride Town Park, but can be seen from most locations in downtown Telluride with amazing views from Allred’s Restaurant at Station St. Sophia at the top of the Free Gondola. Last weekend hosted the 4th annual The Ride Festival which almost tripled the number of attendees with almost 9,000 fans during the weekend of July 11-12. Widespread Panic played both Saturday and Sunday nights proceeded by the likes of the North Mississippi Allstars, Gov’t Mule, Jonny Lang, Trigger Hippy, The Temperance Movement, Moon Taxi, Zella Day, Dorothy, Mike Farris and many others. If the fourth year of the Ride Festival is any indication, then its on track to rival (at least in number of festival goers) the Telluride Bluegrass Festival. The summer still holds many more festivals to enjoy from music festivals such as the Telluride Jazz Festival (July 31-August 2) and 22nd Telluride Blues & Brews Festival (September 18-20) to the world-renowned 42nd Telluride Film Festival (September 4-7) to the perhaps infamous Telluride Mushroom Festival (August 13-16). Telluride, Colorado has something for everyone during our summer and early autumn months, not to mention the natural beautiful surroundings!